What’s special about Froglube? Well for one, it’s all natural, bio-based, completely “green” made with natural ingredients. I read somewhere, that Froglube is made with 21 plant products? Has a fresh wintergreen smell when you apply it, compared to a few throat choking CLP’s on the market. FrogLube is safe to use on polymer frames also. 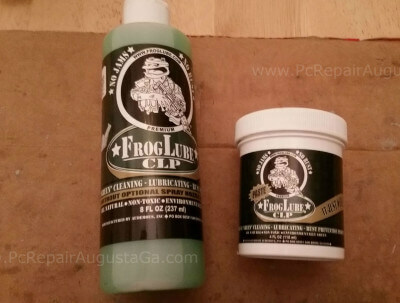 FrogLube when properly applied, prevents or greatly minimizes carbon buildup on your firearm. 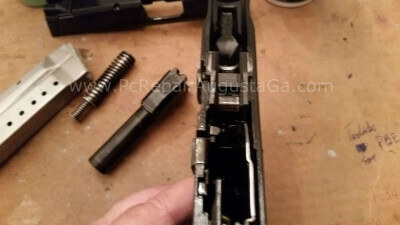 Any carbon, dirty ammo powder etc that might be in your firearm after a day at the range, wipes right out of your gun. 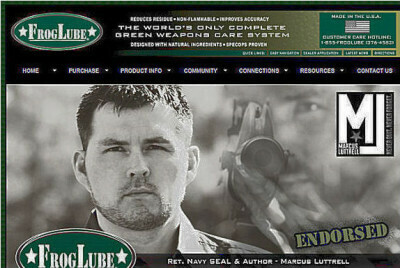 With Froglube, as you shoot and gun warms up, lubricates your weapon creating a wet, glossy sort of teflon appearance. Very little sticks to in the first place, and what does simply wipes out easily. As mentioned above “my only go to cleaner”. Thing about Froglube, when you try & begin to use FrogLube, you CANNOT use any other oil or petroleum product over the top of Froglube. Froglube breaks down petroleum based lubricants (oils). And adding a oil based lube on top of Froglube prevents Froglube from doing what it is suppose to do properly. So, you use Froglube, and ONLY Froglube. You don’t oil your gun before you go to the range. Yes, you shoot it dry, with FrogLube properly applied only. After a couple of applications of FrogLube, cleanup time after a day of shooting is easier and much quicker. 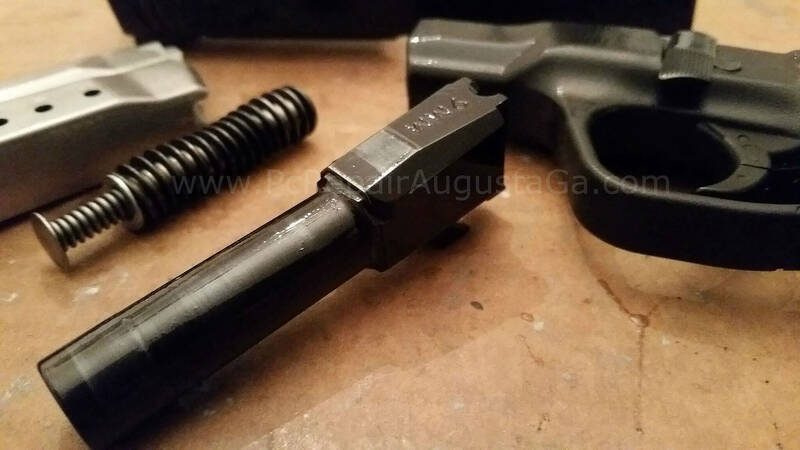 Bore mop and cloth cleans your firearm out. 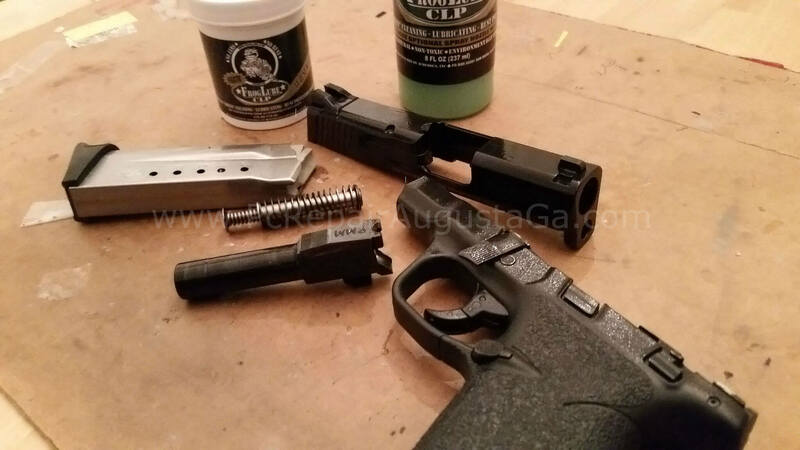 Applying Froglube takes bit longer, but after a couple of good applications of Froglube it does not need to be re-applied after a day at range. I can go 2-3 trips to range before I am re-applying FrogLube (heat method). FrogLube comes in a paste & liquid. I use the paste to apply the full treatment or 3rd trip to range. Liquid I’ll use between range trips or on the AR15 before range trip. How do you properly apply FrogLube? You’ll need a hair dryer or heat gun. 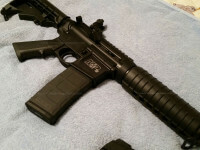 Once all oil’s, (old petroleum oil lube) has been removed, on a handgun I usually start with the barrel. Warm the barrel with hair dryer or heat gun on low heat. Once barrel is warm to the touch, not hot, just warm to touch give your finger a light “swipe” across the FrogLube paste. Some use a brush, to brush it on and work it in also. (Acid brush works well to) Begin working it onto the barrel. A little goes a lonnng way. You notice the FrogLube paste melts & liquefies when it hits the warm metal of the barrel. Cover it well. 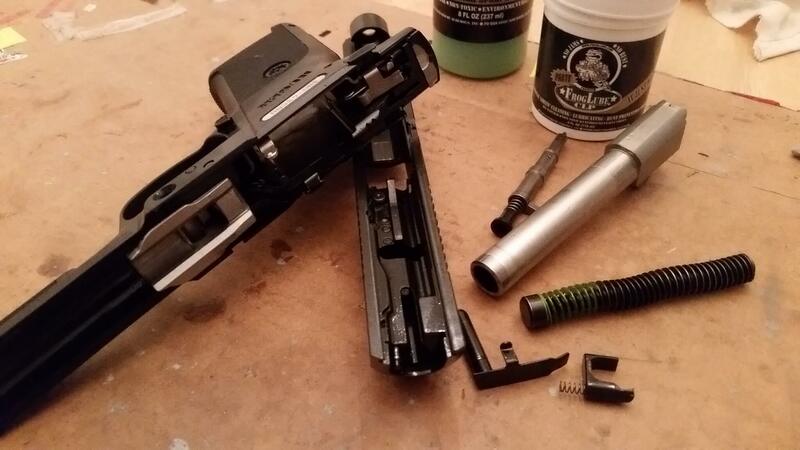 Grab a patch, cleaning rod and smear a little paste on patch, you can re-warm the barrel if needed. Run patch with FrogLube thru barrel. After the barrel has been completely Froglubed, set aside and let it cool with the liquefied FrogLube still on the barrel. Move on to the next part (gun slide, spring etc) and do the same way as above. Even your magazines. Warm the metal to touch, and thoroughly coat, brush, work in and onto all metal parts. Top slide, inside slide everywhere. Re-warm the metal if need be. FrogLube IS safe to use on polymer frames also. Once gun has been warmed, coated with FrogLube,,, walk away for an hour. Yes, leave the parts sit for a good hour or so. As the gun parts cool, FrogLube cools also and and adheres or fills in the very tiny imperfections in the metal that you cannot see by the naked eye, or feel by finger. Many videos on youtube talk about heating metal, so pores in metal open up and FrogLube fills these metal pores? Here is my take on it…. all metal has very, very tiny micro-scopic imperfections. Metal feels smooth, but there are imperfections. Heating the metal, Froglube paste melts and liquefies FrogLube very thin when applied to hot or warm metal. Being this thin under heat, FrogLube fills into these tiny metal imperfections. Letting your weapon sit FrogLubed, dis-assembled to cool is important. 1 hour at least if not longer. After an hour begin to wipe all parts off, don’t scrub off. Just a quick wipe out, bore mop, patch etc. Should a gloss look, not wet or sticky. As you use your gun at range, (barrel, slide, bolt, chamber etc) warms up, becomes hot naturally. This is where the Froglube says “hello again”. As the gun heats up from shooting the FrogLube continues to season, penetrate, re-melts and liquefies from the metal imperfections it filled into lubricating you weapon as you shoot. Might take 2-3 good applications of FrogLube. 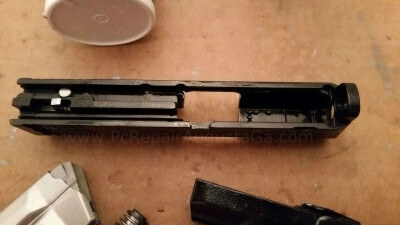 While at range after shooting and gun is warm, break your gun down and take a look inside the slide, spring, bolt area it will have a “glossy wet slick” look as IF you oiled it with your old gun oil. Take your gun home and give it a good wiping out. As you use Froglube, you’ll find less and less powder residue when wiping out and you did when you used your old petroleum based gun oil. Carbon & powder residue has a hard time sticking to metal with FrogLube applied. FrogLube stays in place where you apply it. 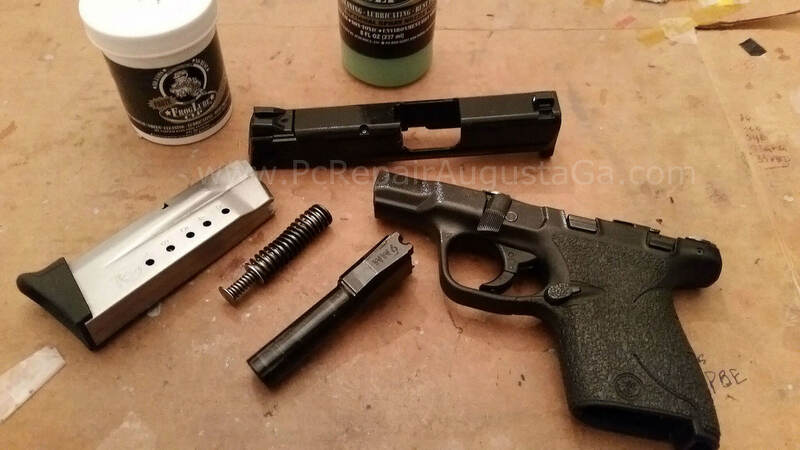 You can go 2-3 trips to range without the full re-application (heat, apply, cool and wipe off) method. I personally wipe gun out, and give gun full treatment application everytime I come home from range. 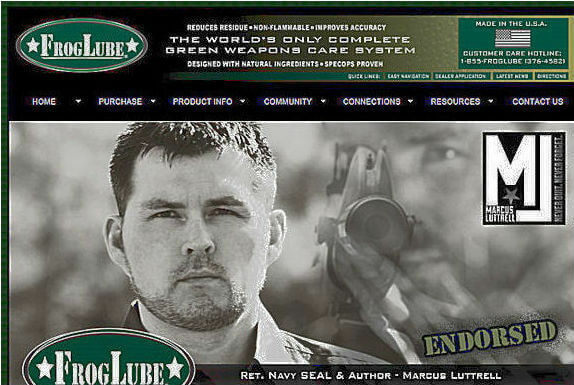 Remember I’m not using any other petroleum oil based lube anymore. 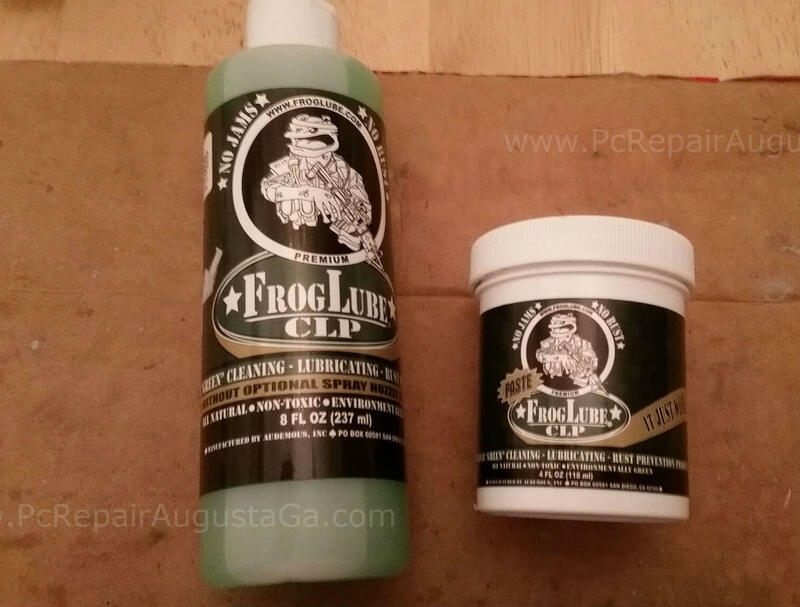 Had my doubts about FrogLube when looking for a good CLP (Cleaner – Lubricant – Protectant). Once I began using Froglube, I never looked back. Hardest part I had was not using any other gun oil again. And the concept of shooting “dry” was a hard one to get by. It’s been a GREAT CLP for myself. And it smells great! Some complaints I have heard a few others talk about “gumming up” and blaming light firing pin strikes on FrogLube? Never had that problem, my only guess is they are not applying FrogLube correctly, not wiping off properly, or still using there old gun oil on top of FrogLLube. Or combination of all 3, don’t know never had a problem though. AR15’s run well wet. A good application of Froglube everytime after range. Before heading to range I take Froglube liquid to a Q-tip into Ar’s upper, chamber, bolt, bolt rails, charging handle, feed ramp. AR15 DOES heat up, and the full Froglube application and a touch of FrogLube liquid really keeps it wet, lubed while shooting. I even FrogLube the Magpul pmags. 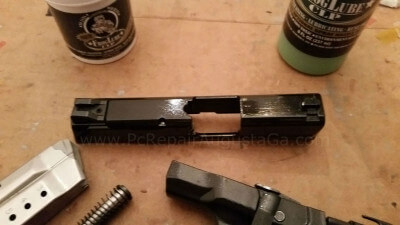 I FrogLube the entire AR15, outside barrel, upper, lower, BCG etc. Great for tools and knives! “when it comes to corrosion resistance, incredible.” End results at 15 minutes in.